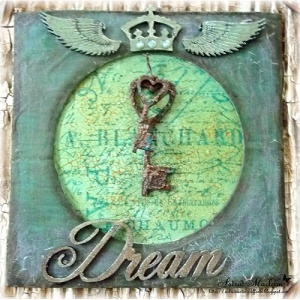 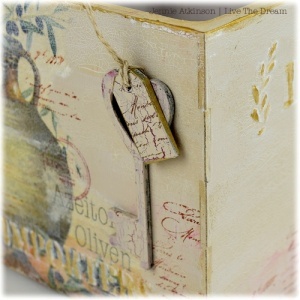 Pack of 2 laser cut MDF keys with heart detail and a hanging hole - ideal for altered books, journals and more. 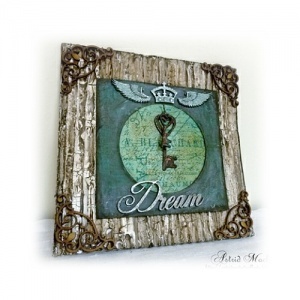 Laser cut from 2mm MDF and available in 3 sizes - select your choice from the options above. 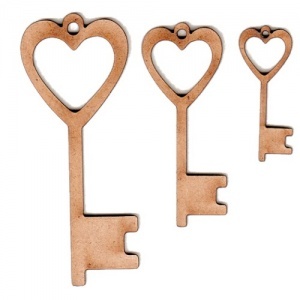 Small heart keys measure 40mm x 15mm. 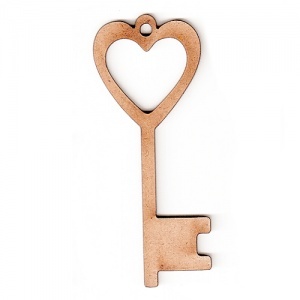 Medium heart keys measure 60mm x 23mm. 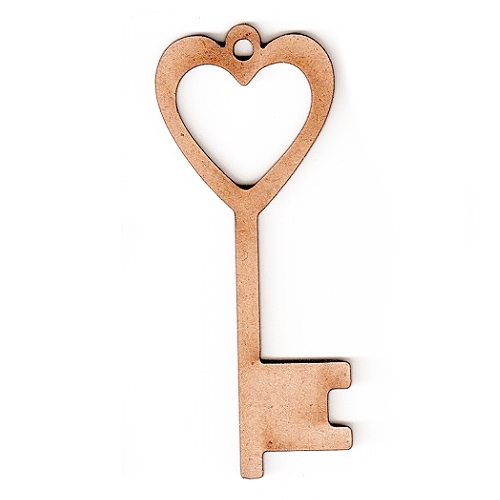 Large heart keys measure 80mm x 32mm.